Houston-Tillotson College, Austin, Texas. 1990. 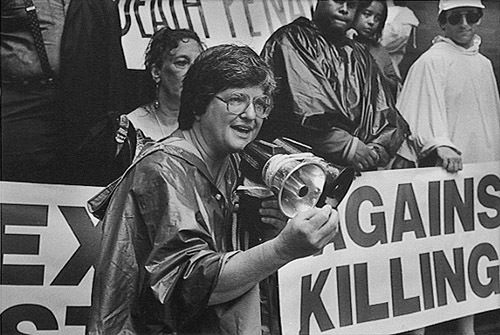 Sister Helen has gained international recognition for her efforts to end the death penalty. Her book Deadman Walking recounts her personal relationship with a condemned Louisiana inmate and the family of his victims.